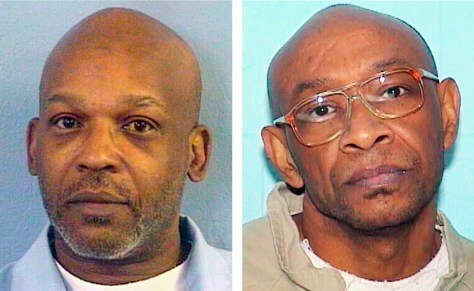 Undated photos provided by the Illinois Department of Corrections show inmate Alton Logan, left, and former inmate Andrew Wilson, right. Logan has been in prison for 26 years for a murder he claims he did not commit. Two lawyers for Wilson, who died late last year, say their client confirmed in 1982 that he killed a security guard, the crime for which Logan is serving a life sentence.